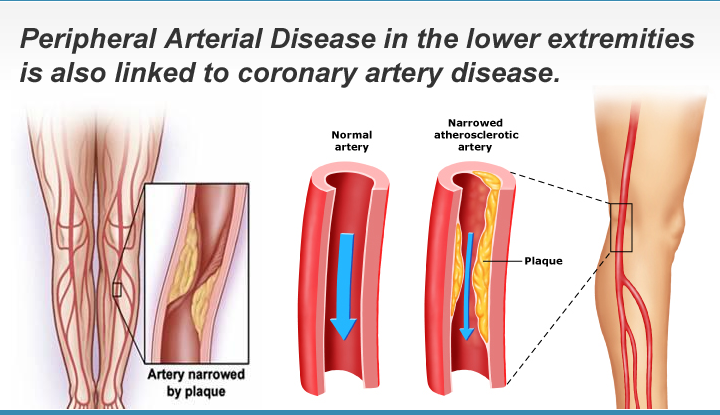 Approximately 12 million Americans suffer from Peripheral Arterial Disease (PAD), often referred to as hardening of the arteries or atherosclerosis. This narrowing of the blood vessels in the legs is caused by the buildup of fatty plaque and is a strong predictor of heart disease. PAD may show up in leg arteries before there are any signs or symptoms. Many people experience discomfort while walking that is relieved by rest, but are unaware that it is due to blocked arteries. More Info: Learn how we screen for Peripheral Arterial Disease.